The Stockholm Waterfront has Stockholm’s most central location and is thus as easily accessible by car as it is by public transportation. 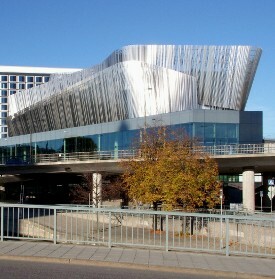 In fact, it is situated next to the Central Station which is the center of the traffic network. 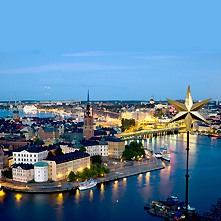 It is here that the long distance train, regional and local trains as well as the subway arrive central Stockholm. Follow the signs for Stockholm Waterfront Kongress inside the Central Station building, which lead you to the upper floor. Turn left outside the station and continue for about 75 meters. 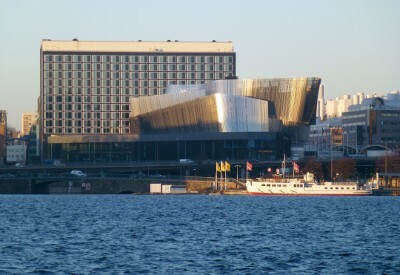 You will immediately see the Stockholm Waterfront Congress Centre. Welcome to one of the most beautiful cities of the world! Welcome to Stockholm, the Royal Capital of Sweden. Discover a city like no other - a city built on 14 islands, where you are never far from the water. Well-preserved medieval buildings stand alongside modern architecture. Stockholm is also home of the Nobel Prize. And just outside the city, the archipelago of 24 000 islands is waiting to be explored. Discover a city of contrasts. Go back 750 years in time and feel the medieval atmosphere of the Old Town "Gamla Stan" as you wander through the narrow streets. Stockholm has got history - but also the latest in fashion and IT. The trendy Stockholmers are often used as a test market by international companies, as they are quick to pick up on the latest trends. This is most obvious on the island of Södermalm, a hotbed of fashion, young culture and entertainment. Stockholm is one third water, one third green belt and one third city. The island of Djurgården, the world's first National City Park, is only a short walk from the pulse of the inner city. Stockholmers and visitors alike come here to relax in the leafy shade and rest their eyes on green.